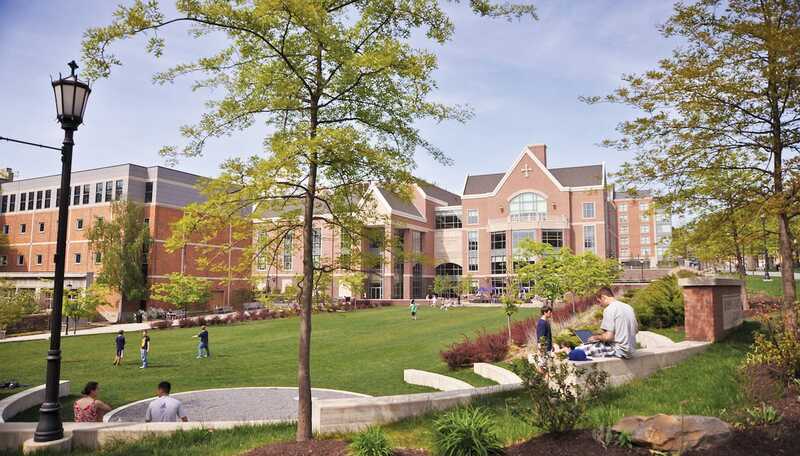 The University of Scranton will host a Preview Day for high school students accepted to its Class of 2023 and their families on Saturday, March 23. The event provides an opportunity for students to take a closer look at the Jesuit university before making their final college decision. Preview Day begins at 9 a.m. and will include presentations and panel discussions throughout the day that allow students and their parents to meet with faculty and administrators concerning academic programs and majors, as well as programs of excellence and career development. Scranton’s undergraduate class of 2018 reported a 98 percent success rate in achieving their goals of employment, continued education or service six months after graduation. Representatives from financial aid representatives and representatives of student programs and services such as clubs and athletics will also be available. Tours of the University’s classrooms, laboratories and residential and recreational facilities will begin at 9 a.m. and continue until 2 p.m., with the last tour departing at approximately 1:30 p.m.
For additional information, see the full program for Preview Day or contact The University of Scranton Admissions Office at 1-888-SCRANTON.